Uncategories Employment Time Table - November 2nd Week! Employment Time Table - November 2nd Week! 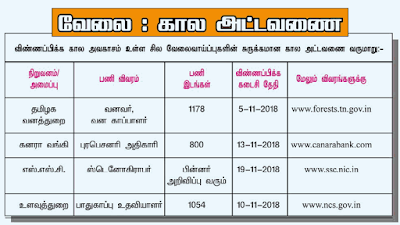 வேலை - கால அட்டவணை - நவம்பர் 2வது வாரம்!